I have to admit, sometimes I’m taken aback when my manager, or other seasoned mortgage professional says something like “we should just put it on our Ginnie line.” Or “sell it to Ginnie Mae.” My eyes glass over and I generally zone out. 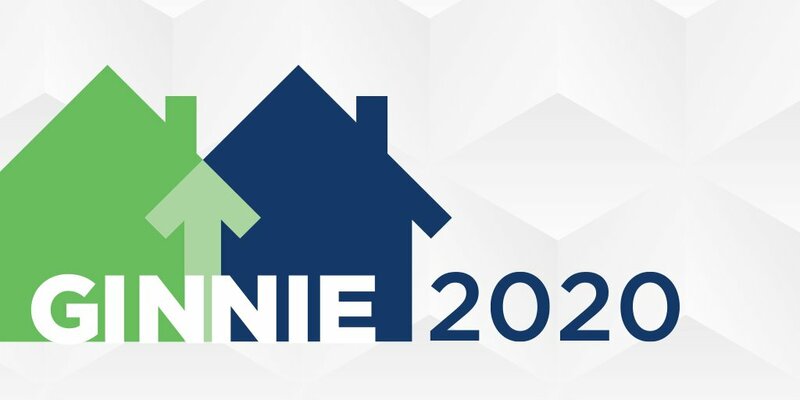 So for today’s post, I’ve decided to dig deep into what a Ginnie Mae is and why it’s important to know about it as a new homeowner. Ginnie Mae is short for the Government National Mortgage Association. They furnish fiduciary services to themselves and other departments and agencies of the Government. Ginnie Mae guarantees privately issued securities backed by trusts or pools of mortgages or loans which are insured or guaranteed by the Federal Housing Administration (FHA), the Department of Veterans Affairs (VA) or the Rural Housing Service (RHS) and certain other loans or mortgages guaranteed or insured by the Government. They are authorized to conduct business in any State of the United States, the District of Columbia, the Commonwealth of Puerto Rico, the Commonwealth of the Northern Mariana Islands, and the territories and possessions of the United States. The core of their function is to expand affordable housing in America by ensuring liquidity for government issued mortgages. Ginnie Mae does this by pooling securities issued by approved lenders into mortgage backed security instruments. By doing this, they guarantee timely payments of principal and interest to those who purchase the Ginnie Mae Mortgage Backed Securities (MBS). An investor in a GNMA security will not know who the underlying issuer of the mortgages is, but merely that the security is guaranteed by GNMA, which is backed by the full faith and credit of the US government. Just like US Treasuries. Investors with shares in Ginnie Mae funds never have to worry about late payments or mortgage defaults: when mortgage borrowers fail to make a payment, Ginnie Mae steps in to honor those missed payments. Ginne Mae has two main pools of mortgages: Ginnie I and Ginnie II. There are several differences between the two pools, and if you are interested in an update to this post with the full chart of characteristics for each, please let me know. At a high level, Ginnie I issues MBS where all loans in the pool bear the same fixed interest rate, are all issued by the same issuer and can pool both single family and multi family properties. Ginnie II is able to pool mortgages of differing interest rates, by multiple issuers and only include single family homes. Basically, the two flavors offer pools of differing characteristics so investors have options in the type of assets they invest in. Now, to the meat and potatoes of why this matters to you as a new homeowner. Ginnie Mae offers a lender options on where they place your loan. Lenders that are authorized to sell to the major houses: Ginnie Mae, Freddie; Fannie and the FHA, have the ability to offer you the buyer more choices. Lets say for example, there is some characteristic of your file that dosen’t comply with the Fannie or Freddie guidelines? There may be an opportunity to put it on their Ginnie line and close the loan. It’s making it clear to me that as a loan officer, I should know all about the mythical Ginnie Mae option. It may allow me another outlet for your new home loan! As always, please contact me with any questions. I’d love to help you finance your next home purchase.